The next version of iOS, released on September 19. Subscribe for regular MacRumors news and future iOS 11 info. Introduced on June 5, 2017 at the Worldwide Developers Conference, iOS 11 is the next-generation version of iOS. As Apple CEO Tim Cook said on stage at WWDC, the update takes the best and most advanced operating system and turns it up to 11.
iOS 11 introduces subtle design changes to interface elements throughout the operating system. Text is bolder, apps like Calculator and Phone have a new look, and the Lock screen and Control Center have been entirely redesigned. The Control Center is customizable and there are options to include a wider range of settings. It's no longer split across multiple screens, and 3D Touch integration has expanded, so you can do more without needing to open the Settings app. As for the Lock screen, it's been merged with Notification Center. Swiping down on the screen to access notifications now brings up the Lock screen. Today view continues to be available with a side swipe, and everything generally looks the same -- there's just no separate Notification Center anymore. Siri has a more natural voice and is more intelligent than ever. Siri learns user preferences and syncs that information across multiple devices, allowing the personal assistant to learn more about you and anticipate what you want. Siri can also translate English into different languages like Spanish and Chinese, and there's deeper Siri integration with Apple Music. For the iPad, Apple has introduced a host of new features that make it more capable than ever before. A persistent Dock at the bottom of the display a makes it easy to launch and switch between apps, and there's a new App Switcher that's similar to Mission Control on the Mac, letting you see everything you're working on at a glance. 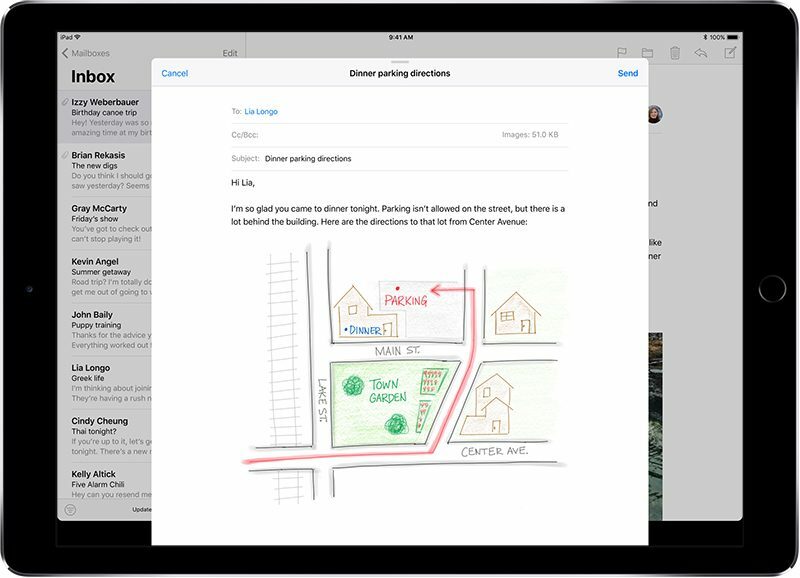 For iPad Pro owners, the Apple Pencil does more, and several apps, like Mail and Notes, support inline drawing. Drag and Drop lets you drag content like images and links from one app and drop it in another, and on both the iPad and the iPhone, there's a new Finder-style Files app for managing files. Files lists all files stored locally, in iCloud Drive, in apps, and in third-party cloud services like Dropbox and Google Drive. 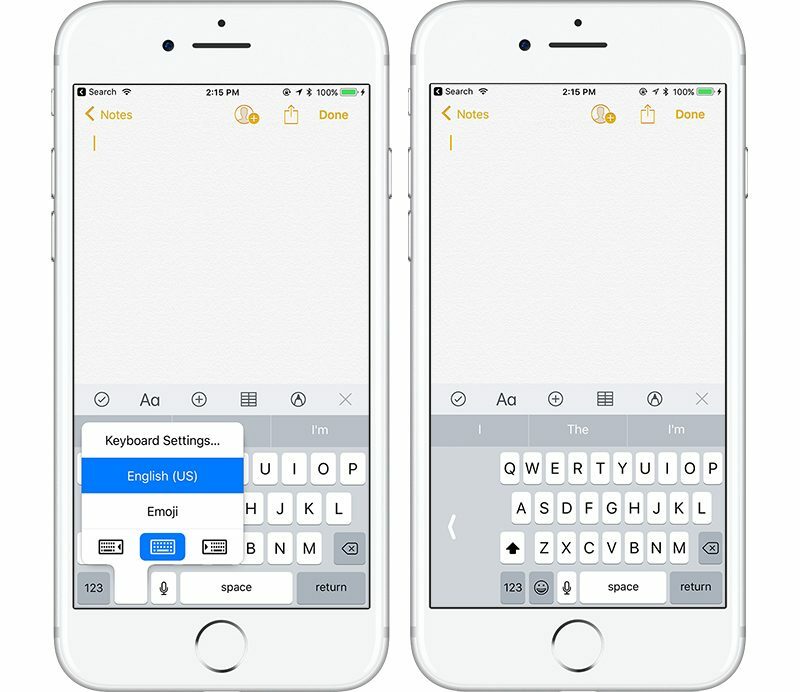 There are new keyboard features, like a one-handed keyboard on the iPhone and a "Flick" option for typing numbers and symbols more quickly on the iPad, and many of the built-in Apple apps have new functionality and feature updates. 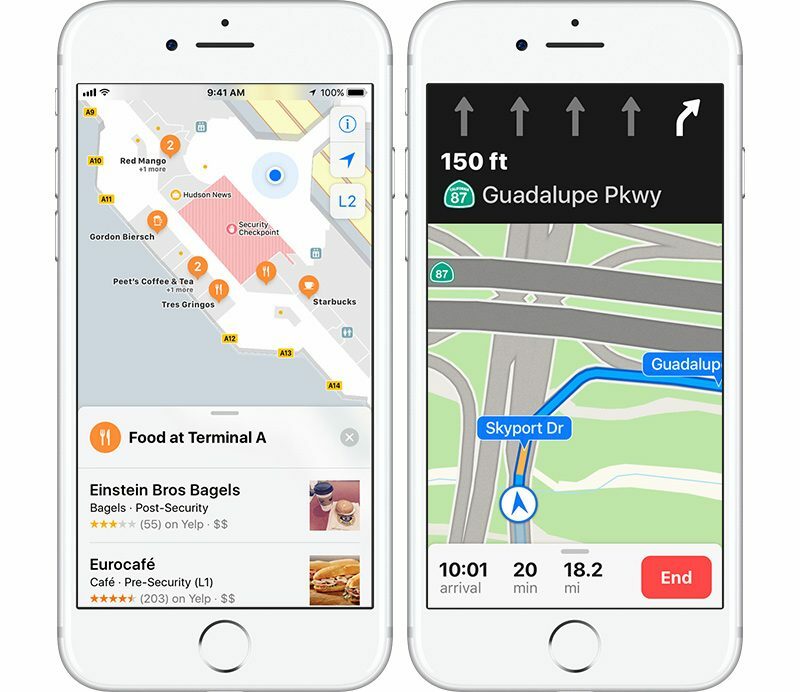 Notes includes searchable handwriting and document scanning, Maps gains lane guidance, speed limit info, and indoor maps for malls and airports, while Apple Music includes a new feature that lets you see what your friends are listening to and share your own music. The Memories feature in Photos is smarter than ever, and in the Camera app, Portrait Mode and Live Photos have been improved with new capabilities. HomeKit now supports speakers and there's a new AirPlay 2 protocol that includes multi-room functionality. Do Not Disturb has been expanded to encompass driving, muting notifications while a vehicle is in motion, and Messages has been improved with a new App Drawer that makes it easier to access Messages apps and stickers. 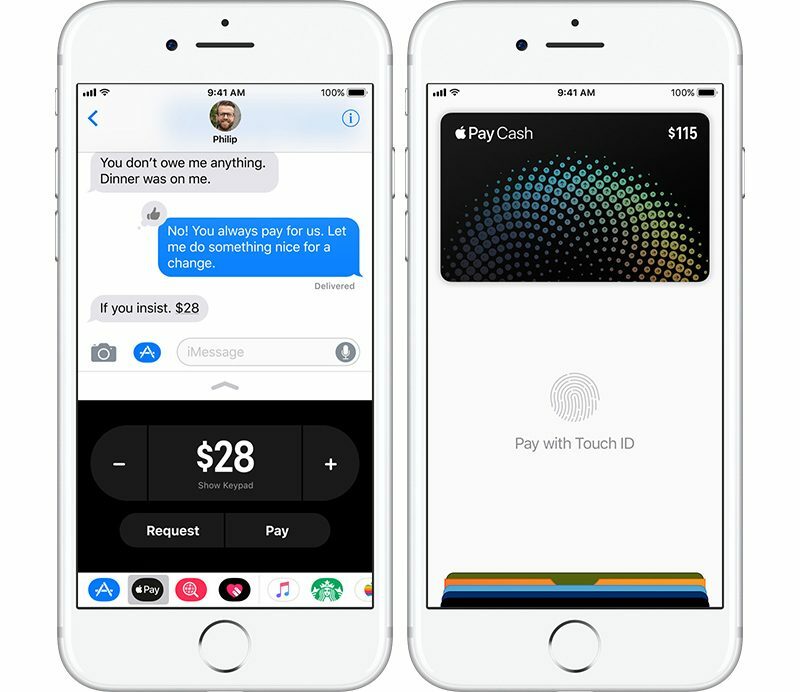 Messages is also gaining support for a new person-to-person Apple Pay feature that lets you send money to friends and family right through an iMessage, and iMessages themselves will be stored in iCloud, with both features coming in a future iOS 11 update. Photos and videos also take up less space through the adoption of new HEIF and HEVC formats. 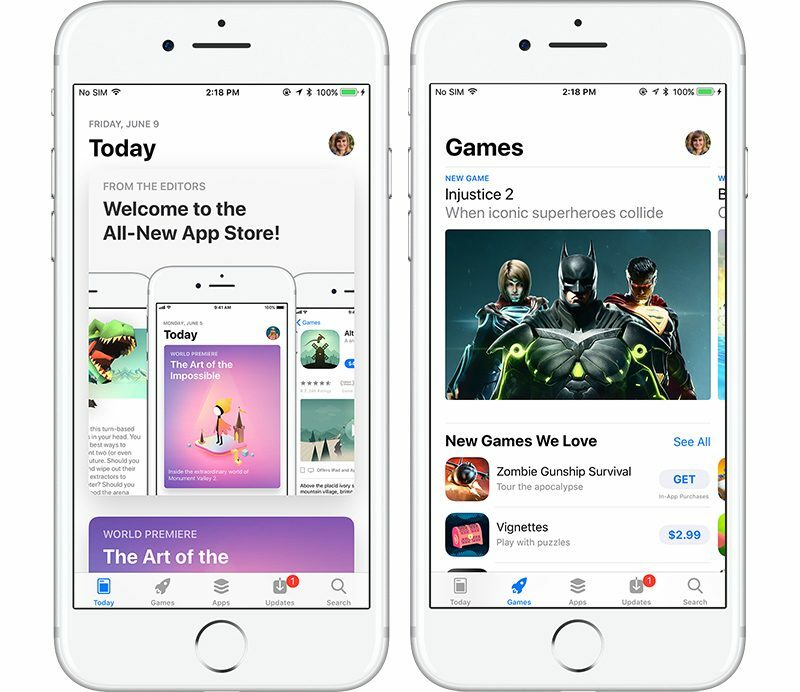 The App Store has been completely revamped in iOS 11, and there are now two distinct sections for apps and games. There's also a new "Today" view that features new content on a daily basis to make it easier to discover fresh apps and games. Apps can do a whole lot more thanks to several new APIs Apple is introducing, including CoreML and ARKit. CoreML provides machine learning tools to developers, while ARKit lets developers build complex and richly detailed augmented reality features into their apps. iOS 11 was released to the public on September 19, 2017 for the iPhone 5s and later, the iPad mini 2 and later, the iPad Air and later, all iPad Pro models, and the sixth-generation iPod touch. 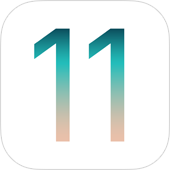 iOS 11 was replaced with iOS 12 on Monday, September 17, 2018, and has been retired in favor of the new software update. Before iOS 11 was unveiled, rumors suggested it would see design changes. We didn't get a complete overhaul to the design language, but there are indeed subtle design updates throughout the operating system. 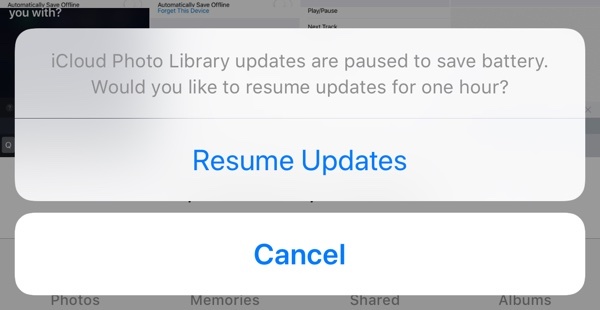 Many built-in apps have been refined with darker lines and bolder fonts, with Apple moving away from the thin fonts that have dominated since iOS 7. Some apps, like Phone and Calculator have new designs with darker fonts and round buttons sans borders, while others, like Reminders and Calendar, remain entirely unchanged. Still others, like Messages, Podcasts, and Apple News, feature smaller design tweaks. Important UI elements like the Control Center and the Lock screen have seen the most significant updates. In iOS 10, Apple split the Control Center, accessed by swiping upwards from the bottom of the display, into multiple windows. In iOS 11, it's back to a single consolidated window and it has an entirely new look with bubble-style icons. There are two top sections for basic networking options and Apple Music controls, plus sliders for volume and brightness. Smaller icons are available for rotation lock, Do Not Disturb, and other options. Instead of taking up just the bottom half of the display when brought up, Control Center now takes over the entire iPhone screen. 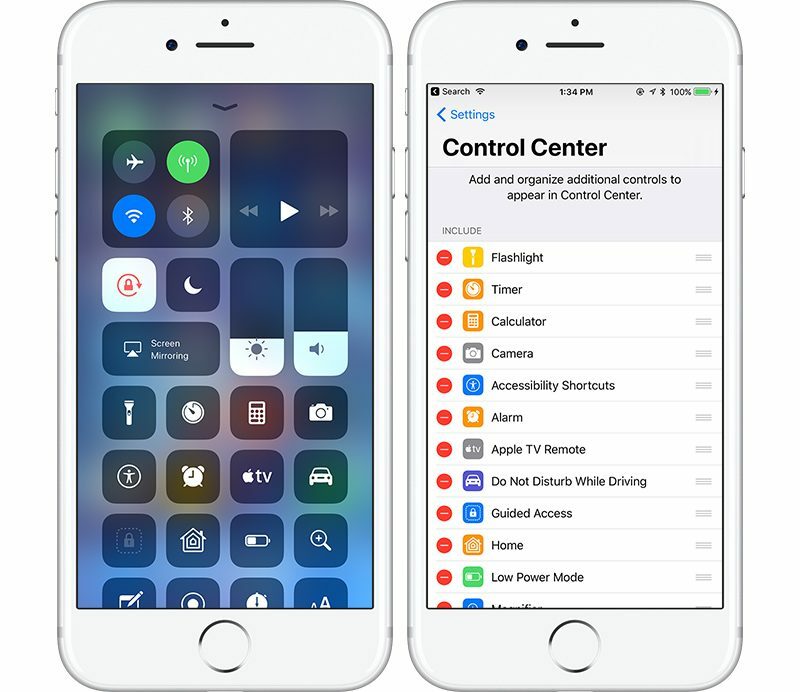 Because the Control Center is no longer restricted to half the display, it can offer access to a wider range of functions, which can be customized. In the Settings app, there's a section for choosing which features you want to be able to access in the Control Center, and there are quite a few options available. Low Power Mode can be added to the Control Center, for example, and there's even an option to add an Apple TV remote. You can add all of the options to Control Center if you want, or just what's most relevant to your usage habits. Along with new customization options, Control Center also has expanded 3D Touch access. A 3D Touch on one of the icons brings up additional options. For example, with the Music icon, play controls are accessible by default, but with a 3D Touch, a bigger playback window opens up with song info and more granular control options. 3D Touch options are available for all of the Control Center settings that are more complex than just a simple toggle on/off button. While the Control Center takes up the full display on the iPhone, it works differently on the iPad. 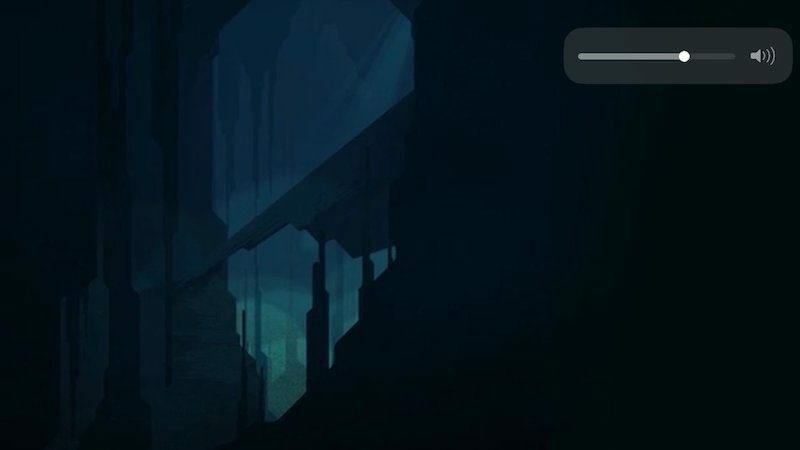 A swipe up from the bottom of the screen opens up the App Switcher, where Control Center is located on the right side of the display in both landscape and portrait mode. 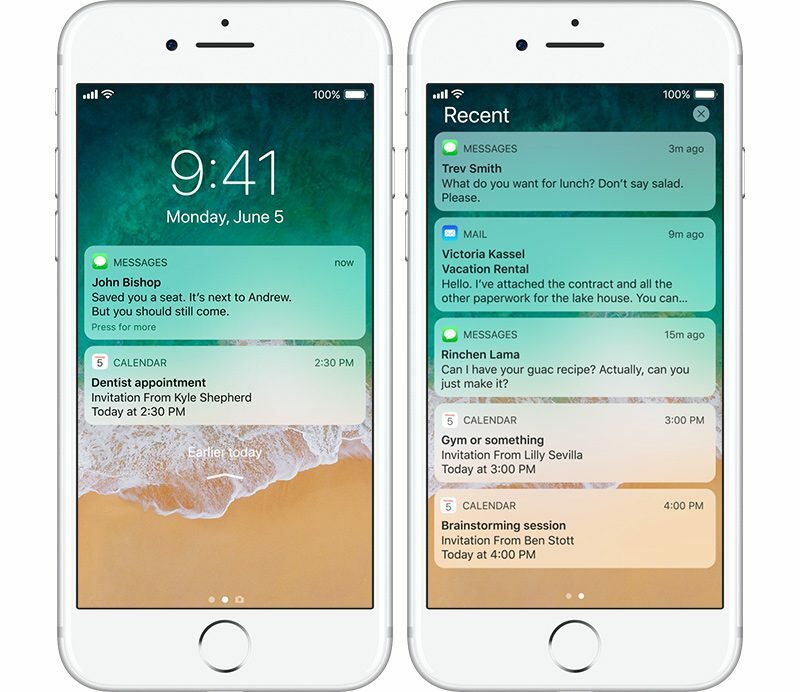 The Lock screen and the Notification Center have been merged into one entity in iOS 11. When you pull down from the top of the iPhone or iPad's display to access your notifications, it's the Lock screen that comes down now instead of a separate Notification Center window. Once on the Lock screen, missed notifications are prominently displayed, while recent notifications you've already seen can be accessed by a second upward swipe in the middle of the display. A second upward swipe from the middle of the display brings you back to the Home screen. The Notification Center "Today" view that houses widgets continues to be accessible from the Lock screen and the Home screen with a swipe to the right. Siri improves with each iteration of iOS, and iOS 11 is no exception. Siri has been updated with more realistic male and female voices that are designed to more closely mimic natural human speech. Apple says Siri's new voice options are powered by deep learning for better pronunciation and a more expressive voice. In iOS 11, Siri is using on-device learning to understand more about your preferences, allowing the personal assistant to learn more about your interests to better anticipate what you might need next. Siri is also syncing that information across all of iOS and Mac devices so the Siri experience is the same regardless of what product you're using. Cross-device Siri syncing is a new feature that's going to make Siri smarter faster, but Apple had privacy in mind when enabling this function. End-to-end encryption is in place so the data being shared is readable only by your devices. These new Siri features will let Siri do things like suggest a topic you might like in Apple News based on Safari browsing habits, or suggest a Calendar reminder for an appointment you've booked on the web. Or when you're typing, Siri might suggest things based on what you've recently viewed -- names of movies or places, for example. 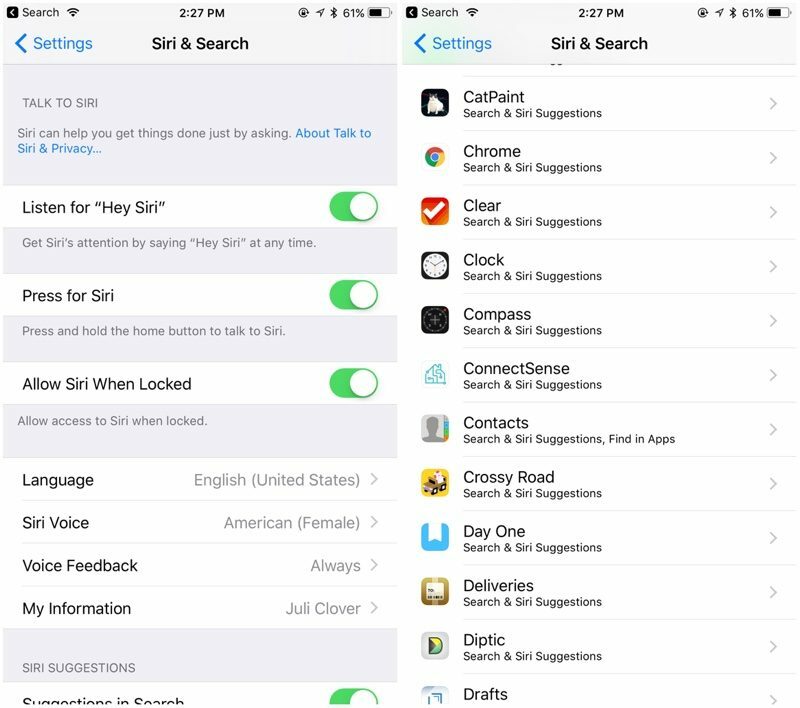 Siri can also suggest Safari searches based on what you've been reading, or if you let a friend know you're on your way, Siri can offer up an estimated time of arrival using QuickType suggestions. When using Siri, you might notice a new icon at the bottom of the display in iOS 11, and you can now ask Siri to translate English to Chinese, French, German, Italian, and Spanish. Apple plans to expand translation languages over the coming months. As part of enhancements to Apple Music, Siri is able to learn your music tastes and instantly bring up content you'll like when you ask Siri to play some music. Siri is also able to answer Music-related trivia in iOS 11, like "Who is the drummer in this song?" With new Accessibility options, available in the Settings app, there's a new "Type to Siri" feature you can turn on that allows you to type your Siri queries instead of speaking them aloud. The SiriKit API that allows developers to add Siri integration into their apps works with more kinds of apps in iOS 11. 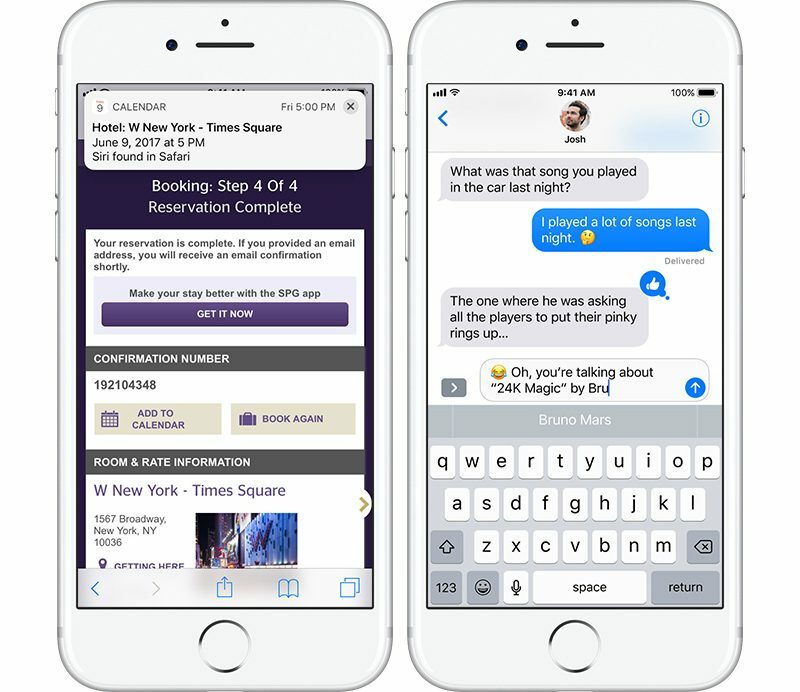 SiriKit was previously limited to ride scheduling, banking, messaging, photo search, VoIP calling, and car controls, but it has expanded to encompass bill paying, task management, and QR codes in iOS 11. As of iOS 11.2.2, there's a new podcast-based Siri audio news feature. When you ask Siri about the news of the day via Hey Siri or another hands-free method, the personal assistant will provide Podcast news from NPR by default in the United States. You can, however, ask Siri to switch to news from Fox News, CNN, or The Washington Post. The audio news feature, which appears to have been developed primarily for Apple's upcoming HomePod speaker, is invoked when using "Hey Siri" or asking Siri about the news when using CarPlay or headphones. It's essentially designed for situations where you're not looking at your iPhone or iPad's display. There is no iCloud Drive app in iOS 11, because it's been expanded into a more comprehensive "Files" app that's designed to mimic the Finder app on the Mac. 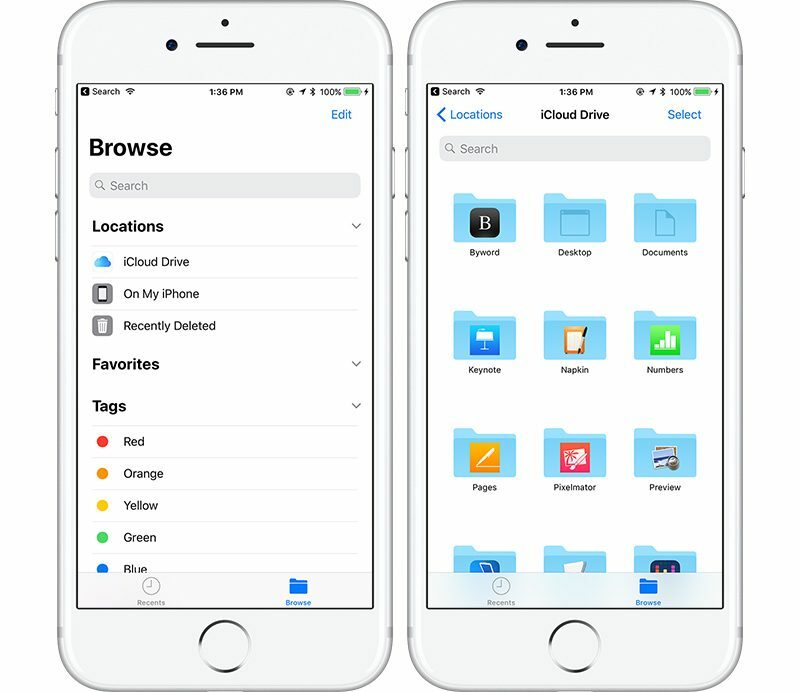 Files houses all of the content stored locally on the iPhone or iPad, iCloud content, app content, and content stored in other cloud services like Dropbox, Box, One Drive, Google Drive, and more. Developers are able to add Files integration into their apps, so individual apps will also be listed in the Files app, making it simpler than ever to transfer documents, photos, videos, and other content between apps. Files is available on both the iPhone and the iPad, and while many users will likely never need to access the Files folder because much of the file management on iOS is automatic, it's a nice feature for pro users. 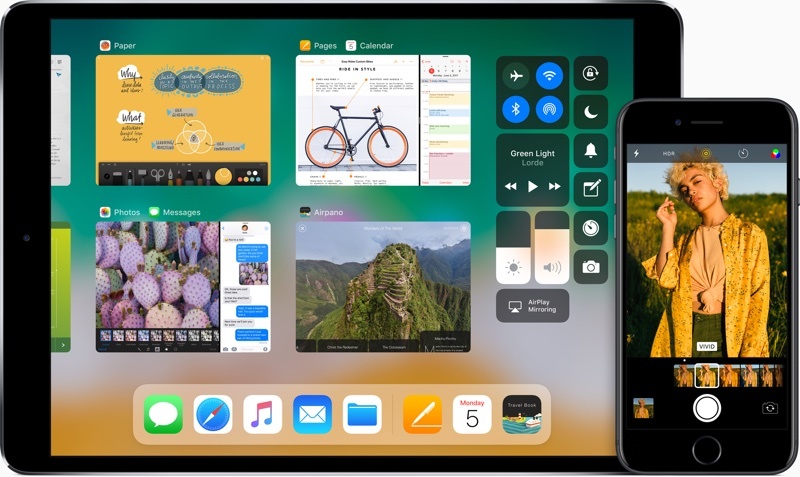 iOS 10 was an operating system update that largely ignored the iPad, but Apple made up for it in iOS 11 with a range of iPad only features that cater to users who want to use the tablet as a full PC replacement. In addition to the new Files app, there are several other new functions in iOS 11 that iPad users have long wanted. The Dock on the iPad has been expanded in iOS 11, and it's a lot more like the dock on the Mac. Before iOS 11, the Dock was only accessible from the Home screen, but now it's persistent and can be pulled up in any app. A quick swipe up from the bottom iPad's display will bring up the Dock regardless of what you're doing on the iPad, which makes accessing your favorite apps and switching between them much faster. The Dock is able to hold up to 13 apps, along with a user's most recently used app and Continuity icons when using Handoff. The Dock can be used for multitasking purposes. Bringing up the Dock while using an app and then dragging a Dock icon upwards will pop up a new window. The secondary window can be used for a quick task and then swiped away, or it can be pulled into a Slide Over or Split View window. If Slide Over or Split View are already in use, the open windows can be changed by dragging an app icon from the Dock. 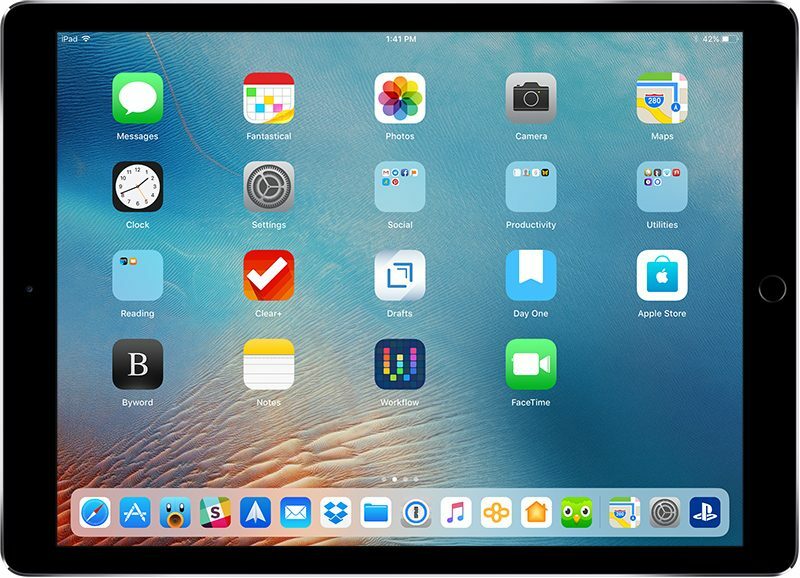 While the newly revamped Dock offers a quick way to switch between apps, Apple has also included a revamped iPad App Switcher in iOS 11. Accessible with a double tap on the Home button or a double upwards screen swipe, the App Switcher is similar to Mission Control on the Mac. It shows the Dock and a tiled view of the apps that are open, with the most recently used apps at the forefront. The App Switcher is where the Control Center is located on the iPad. 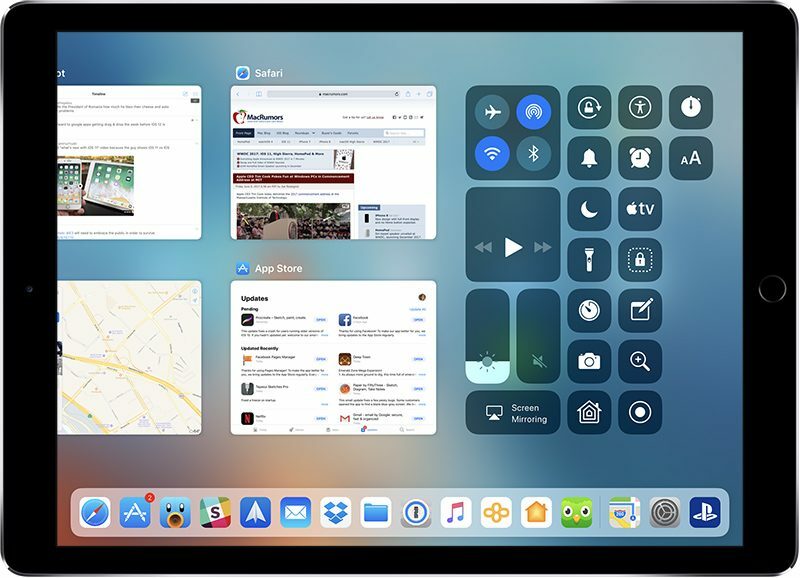 Control Center icons are at the right of the App Switcher display, giving iPad users a streamlined way to access apps and change settings all in one location. There's one other notable thing about App Switcher - it preserves your current Split View or Slide Over multitasking windows, so you can quickly access a third app without needing to interrupt a split-screen workflow. 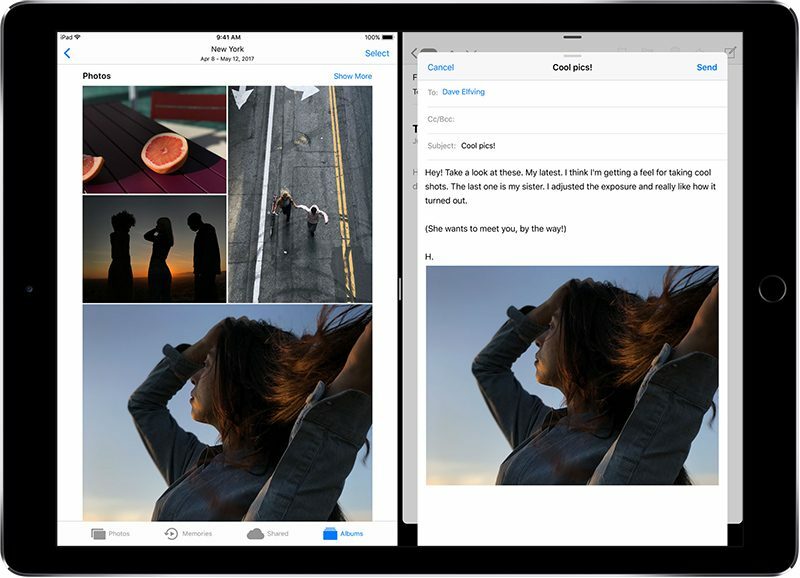 A new Drag and Drop feature allows text, links, photos, files, and more to be transferred between one app to another without the need to bother with in-app share sheets. A tap and a hold with a finger initiates a drag action, while another finger can be used to bring up the Dock or access the Home screen to open up another app where the item being dragged can be dropped. Drag and Drop is especially useful in Split View mode, where it's simple to drag files between two open apps on the iPad's display. Multiple items can be dragged and dropped at the same. The keyboard on the iPad now uses flicks as a way to enter numbers and symbols without the need to use a shift key. All of the keys now display both letters and numbers/symbols, and a downward swipe or a "flick" can be used to type a symbol or a number instead of the letter on the key. Typing symbols and numbers this way is simple, intuitive, and quicker than taking the time to use the shift key. Holding down on a key continues to bring up special characters with accent marks. The new flick feature is available on all iPad models except the 12.9-inch iPad Pro. For iPad Pro models, Apple Pencil support has been expanded with new features and functionality that allows it to work anywhere in the operating system, similar to a standard stylus or a finger. In previous versions of iOS, the Apple Pencil could only be used within certain apps, but there is system-wide support in iOS 11. 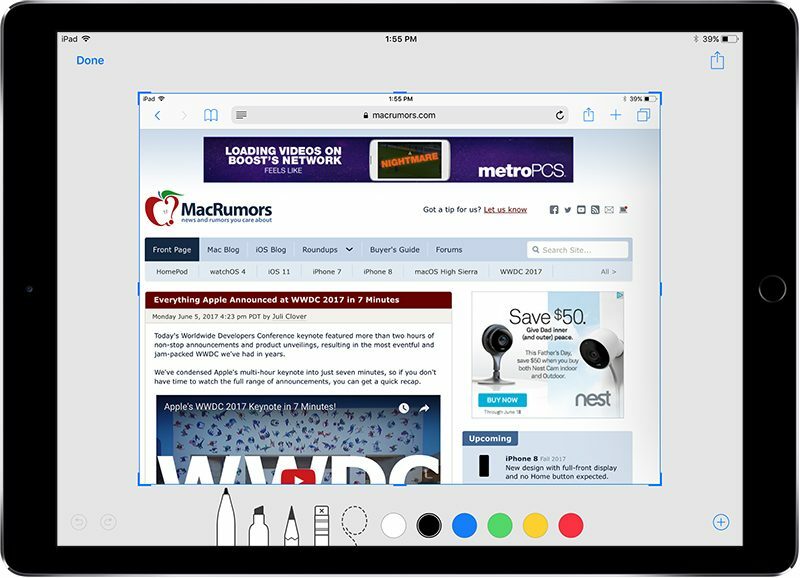 Instant Markup is a feature that allows essentially anything on the iPad to be annotated using the Apple Pencil. Taking a screenshot, for example, now brings up a small icon in the corner of the screen, and a tap on the icon opens up a Markup interface where the screenshot can be edited using simple drawing tools. A similar feature is available for all kinds of other documents through a new "Markup Through PDF" Share Sheet option that converts any document into a PDF and then opens up Markup. 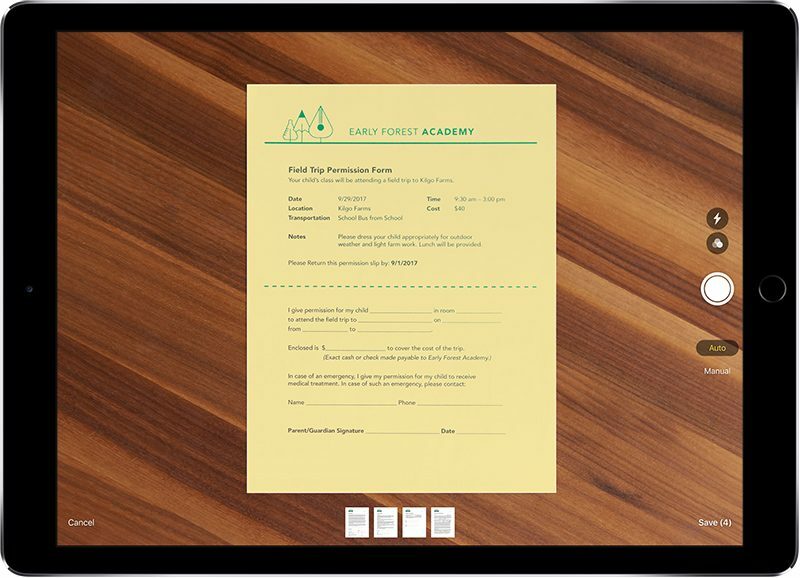 Anything that can be printed can use the "Markup Through PDF" feature. These Markup features were designed to be used with the Apple Pencil on the iPad, but a finger works just as well - the Apple Pencil is not required. Instant Markup is also available on the iPhone, where a finger or a stylus can be used for editing. Two other features have been added with the Apple Pencil in mind - Instant Notes and Inline Drawing. With Instant Notes, a tap of the Apple Pencil on the Lock screen of the iPad Pro will automatically open up the Notes app, allowing you to quickly start a new notes document. Inline Drawing is available in Notes and Mail and allows simple drawings to be added right inside of a note or an email message. Inline Drawing was also designed with the Apple Pencil in mind, and Inline Drawing options will automatically pop up when using the Apple Pencil, but it also works on both the iPad and the iPhone without the pencil. In iOS 10, Apple introduced apps for Messages and an iMessage App Store. In iOS 11, there's a new App Drawer located below the text entry in Messages that's designed to make it easier to access apps and stickers. All installed apps and stickers are located in the App Drawer and can be selected with a tap and scrolled through with swipes. The first icon in the App Drawer opens the App Store for downloading new apps. Along with the App Drawer, Messages is the home of a major new Apple Pay feature -- peer-to-peer payments. Using an Apple Pay Messages app, you can now send and receive money using Apple Pay and a connected debit or credit card, similar to apps like Square Cash or Venmo. Money can be sent in Messages using standard fingerprint authentication, and funds received are available in a new Apple Pay Cash card that's located in Wallet. This card can be used to make Apple Pay purchases where Apple Pay is accepted (similar to any other credit or debit card stored in Apple Pay), or it can be transferred to a bank account. Sending money using Messages requires an Apple Pay-compatible device, which includes the iPhone SE, iPhone 6 or later, iPad Pro, iPad 5th generation, iPad Air 2, iPad mini 3 or later, and Apple Watch. Person-to-person payments are limited to the United States at the current time. Like many peer-to-peer money transferring services, sending money is free when a debit card is used, but incurs a 3 percent fee when using a credit card. There's a new Messages in iCloud feature that's coming in a future iOS 11 update. Originally, the feature was going to ship with iOS 11 and was even included in early iOS 11 betas, but Apple pulled it in the fifth beta. 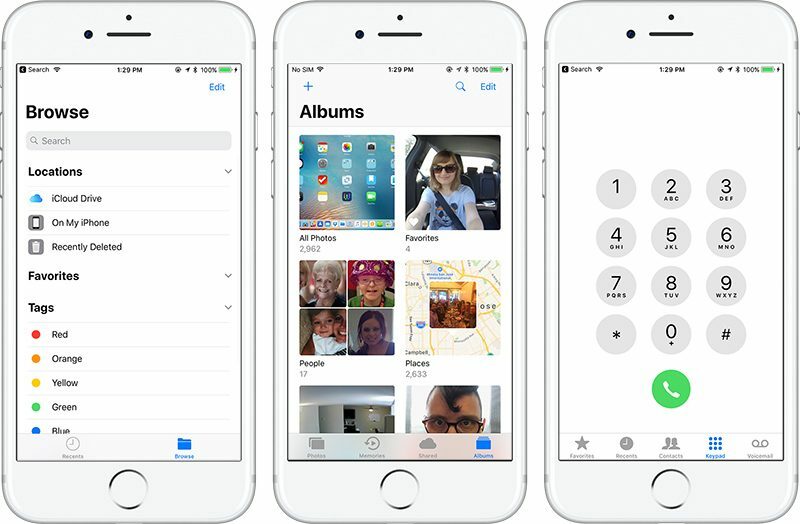 Messages stored in iCloud will sync across all devices, including new devices, and they take up less storage space. 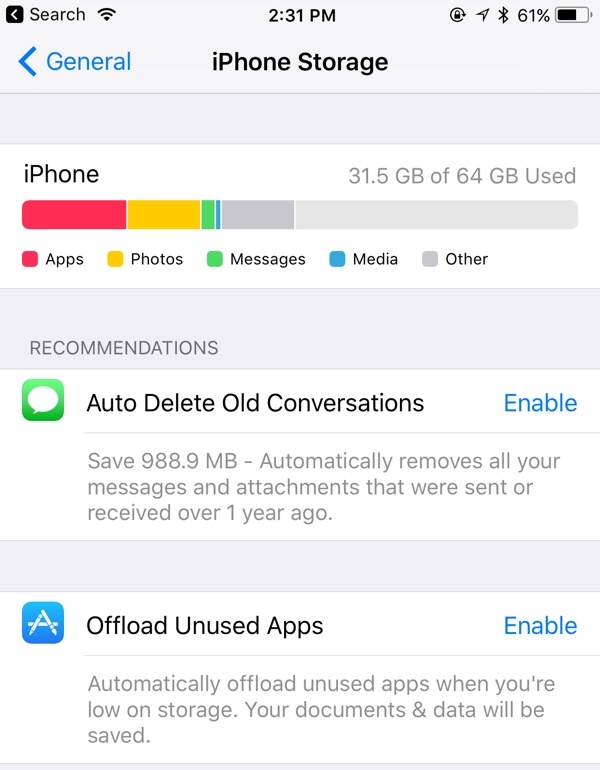 With the feature enabled, only the most recent conversations need to be stored on a device, freeing up valuable storage space and making iPhone backups faster. Currently, the feature has been re-implemented in iOD 11.3. 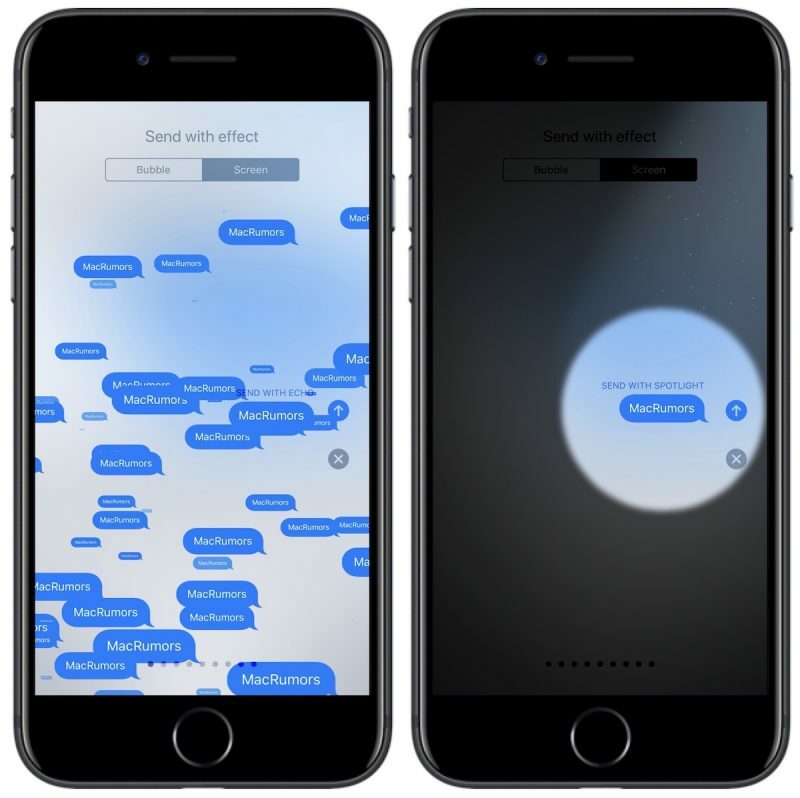 Messages also includes two new Screen Effects, "Echo" and "Spotlight." Echo is designed to multiply any message sent to a friend over and over again, filling up the screen, while Spotlight adds an emphasis to a message through a visual spotlight effect. As outlined above, Notes features an Instant Notes option that works with the Apple Pencil, and Inline Drawing for annotating notes with simple sketches and images. Notes includes a new Document Scanner that senses and scans a document, crops the edges, and removes tilt or glare before allowing the document to be edited, saved, and shared. The new Document Scanner is able to effectively replace third-party document scanning apps. Notes is also now smart enough to recognize your handwriting, making it searchable for the first time. Handwritten content will act just like typed content, coming up in Spotlight searches so you can quickly locate notes you've taken. Apple has purchased several indoor mapping companies, and in iOS 11, it's making use of that technology. iOS 11 supports indoor maps of select malls and airports around the world, displaying full layouts of each location with icons for restaurants, bathrooms, and other notable indoor landmarks. Indoor mapping technology is limited to a handful of malls and airports at launch, but Apple says support will be dramatically expanded over time. Maps is gaining lane guidance, which is designed to help you avoid missing a sudden turn or an exit by telling you which lane to be in, and it will now display the speed limit of the road that you're on. 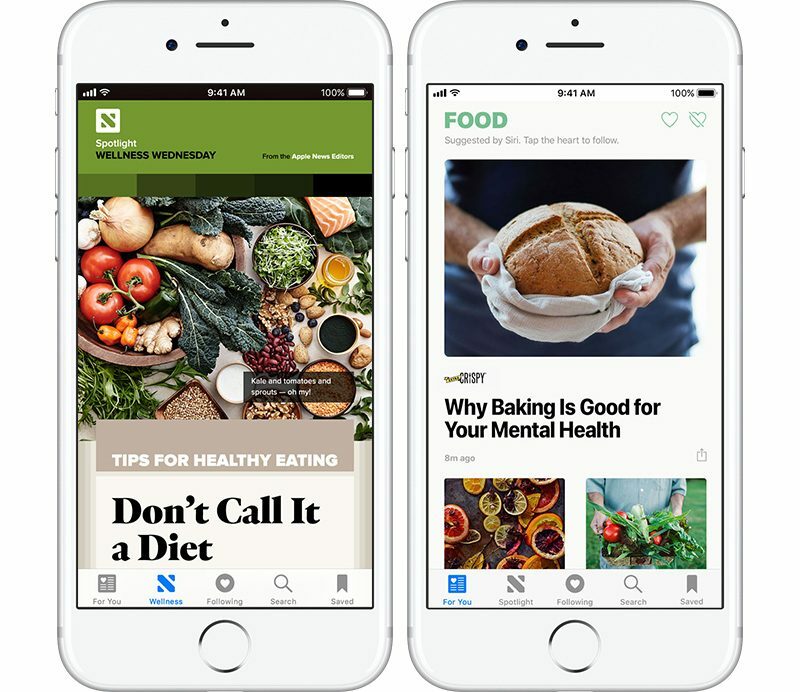 Apple News has a new tab called "Spotlight" that houses a selection of news stories picked by the Apple News editorial staff. Each day, Spotlight features a new topic and highlights stories centered on that particular topic. Apple describes Spotlight as "a deep-dive into the story of the day, with features, photos, and videos handpicked by our editors." The "For You" section of Spotlight will also now surface content suggested by Siri based on your Safari and app usage. The "Connect" feature in Apple Music that required you to make a Connect account back when the service first debuted is finally being put to use beyond following artists. In iOS 11, you can make an Apple Music profile that allows you to share playlists with friends and see your friends' playlists. Your profile lives in the "For You" section of Apple Music, and when you tap it, you can see the profiles of the friends that you follow. From there, you can see what they've been listening to. Profiles can be set to public or private, as with any social network. Live Photos, the feature that adds a bit of motion magic to still photos, is even better in iOS 11. For the first time, you can use a slider to select a portion of the Live Photo that looks the best. Since Live Photos are essentially short videos, it's like pulling the best still shot out of a video. This is a nice change for images where the key photograph might have been blurred, because now you can select a non-blurry section of the image. There's also an option to crop Live Photos to keep only a portion of the motion recording, and there are new Loop, Bounce, and Long Exposure options. Loop causes a Live Photo to loop continually like a GIF, while Bounce is the same thing but forwards and then backwards. Long Exposure has a more limited use because it converts a the video portion of the image into a long exposure photograph, but it is useful where only a part of an image moves, like running water. For iPhones that support Portrait Mode, iOS 11 brings some important improvements. Image quality has been improved, low light performance is better, and Portrait Mode images support optical image stabilization. Flash works in Portrait Mode for the first time, and it also supports HDR for even better lighting and filters for adding flare. When you FaceTime someone in iOS 11 on an device that's capable of taking Live Photos, there's a new button for capturing a Live Photo during the chat. Internally, the way photos and videos are stored is being updated, which means images and videos are going to take up less space on iPhones and iPads. For video, Apple is implementing HEVC or H.265 video encoding, which results in 2x better compression. The JPEG image format is also being changed to HEIF (High Efficiency Image Format), which also allows for photos that are half the size. 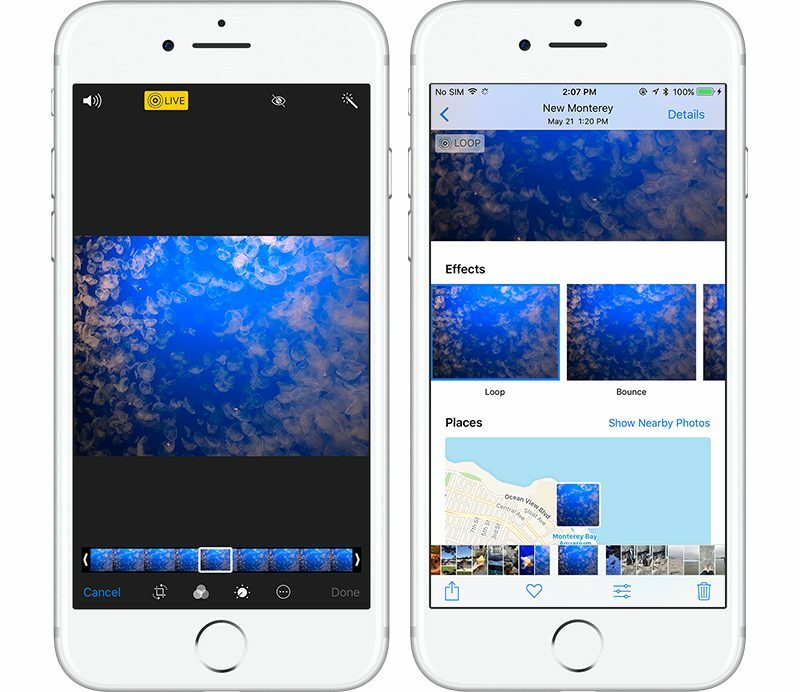 Photos and videos will also take up less storage space in iCloud, and though there are new storage formats, photos and videos sent from iOS devices remain compatible with other devices so you can still share content with your friends. These new formats are available on Apple's latest devices, those with an A9 chip or later. Facial recognition in Photos, which was previously exclusive to each iOS or Mac device, will now sync with all of your devices. That means you only have to tell Photos who each person is once, and it'll sync that info across Macs, iPhones, and iPads. Photos is taking advantage of better machine learning techniques to surface new kinds of Memories (aka built-in automatically generated slideshows). In iOS 11, you'll see Memories of pets, activities, and children growing up, among other new montages. Memories can also recognize a device's orientation and put together a slideshow in either landscape or portrait mode. When editing a photo, there are several new filter options available, like Vivid, Vivid Warm, Vivid Cool, Silvertone, Dramatic, and more. Many older filters have been replaced with the new options. Photos also includes better support for GIFs. GIFs now play when viewed on an iPhone or iPad in the Photos app, and they're also stored in a new "Animated" folder. In Photos, there's also a new custom Share Sheet option that's designed to make it much easier to turn a photograph into a watch face for an accompanying Apple Watch. Safari has a new feature that's designed to prevent websites from tracking you across multiple sites for the purposes of delivering ads. It's not going to cut down on the ads that you see, but it will make it harder for advertisers to gather data about what you've been browsing. Safari also integrates with Siri in new ways, letting Siri to learn more about your web browsing preferences, information that's used to allow the personal assistant to better anticipate what you might type or what you might want to see when doing things like browsing Apple News. In iOS 11, data collected in the Health app can be uploaded to iCloud, making it accessible across multiple devices and ensuring your data is safely backed up. Uploading Health data to iCloud is optional, and it's turned off by default. It can be toggled on in the iCloud section of the Settings app. The Home app, and HomeKit, are gaining support for speakers. HomeKit-compatible speakers, like Apple's HomePod, will be able to interface with HomeKit, allowing the Home app to be used to configure and control them. A new AirPlay 2 feature adds multi-room audio support to compatible speakers, allowing music to be played to all of the connected speakers in a home or just a select few, similar to how Sonos works. Major speaker manufacturers like Beats, Bose, B&O, and Bowers & Wilkins plan to support HomeKit. Apple TV will also be able to control all of the audio in the house using the new AirPlay 2 feature, either through the Apple Music app or Siri. Developers will be able to make apps that support AirPlay 2, so it won't be limited to Apple Music. Do Not Disturb has been expanded with a new "Do Not Disturb While Driving" feature that mutes all incoming notifications on an iPhone when it's connected to a car's Bluetooth or WiFi. The feature is meant to cut down on distracted driving. Do Not Disturb While Driving not only mutes notifications but also responds to any incoming messages with a quick note letting people know you're in the car. It will, however, let through emergency texts, and it can be disabled if you're a passenger in a car. The feature is voluntary, so you can choose to turn it off if you wish. If you tap the emoji or globe icon on the iPhone's keyboard, there's an option to select a one-handed keyboard that shifts all of the keys either to the left or the right. This is designed to let you type one handed with just a thumb. In iOS 11, when you buy a new iPad or iPhone, it can be set up much more quickly by holding it near an iOS device or Mac you already own through Automatic Setup. Automatic Setup transfers personal settings, preferences, and iCloud Keychain passwords to your new device automatically. The App Store looks entirely different in iOS 11 because it's been completely overhauled. Games and Apps are split out into their own individual sections and there's a new "Today" section that's designed to surface new app content on a daily basis. Today features an App of the Day and a Game of the Day, along with editor's choice app selections, interviews with developers, app tutorials, and more. 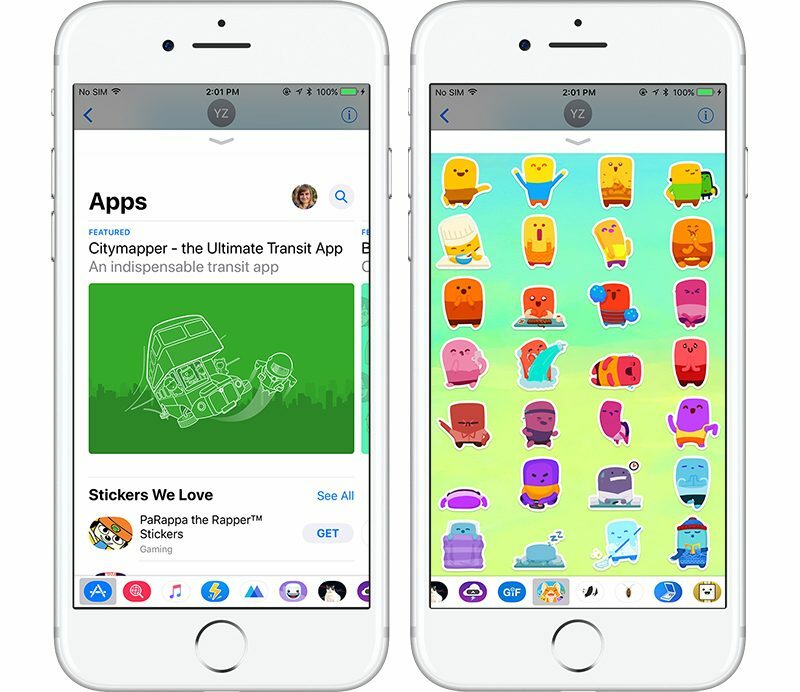 Individual app pages have also been redesigned, with more of a focus on reviews and video overviews, and there are options that will let developers do things like highlight new in-app purchases or levels so users can be notified when their favorite apps gain new features. iOS 11 includes App Store features that were previously announced, including limits on the number of times developers can ask users for reviews, options to turn reviews off entirely in settings, and a new interface for app reviews that doesn't require leaving an app. There are also new App Store guidelines covering tips, a new feature that can be built in apps to give developers a new way to monetize. Tips are treated like in-app purchases and are common in apps in China. iOS 11 introduces a huge number of major changes to the operating system, ranging from a redesigned Control Center experience to a host of new features specific to the iPad, but along with all of these major changes, there are also dozens of smaller changes that have been added to the beta. Below, we've outlined some of the smaller but still significant tweaks that are hidden within the operating system update. 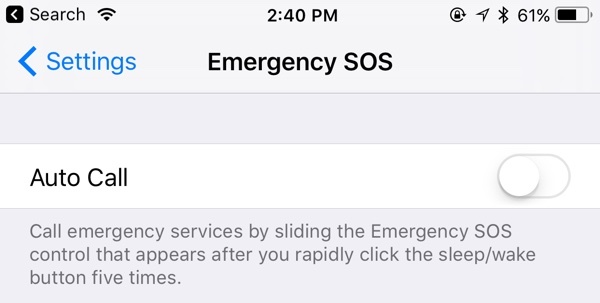 - Emergency SOS - There's an Emergency SOS option in the Settings app that allows users to turn on an "Auto Call" feature that will immediately dial 911 when the Sleep/Wake button is pressed five times. Pressing the Sleep/Wake button five times also disables Touch ID until a passcode is entered. 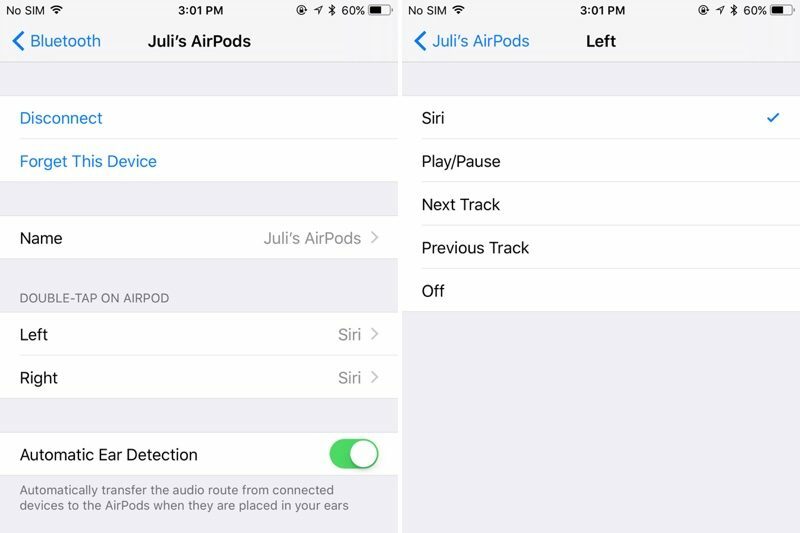 - AirPods Settings and Next Track - AirPods can now be customized with separate double tap gestures for the left and right AirPod. One can be set to access Siri, for example, while another can be set to play the next track. Next Track and Previous Track are two new settings in iOS 11 that make it easier to skip songs. 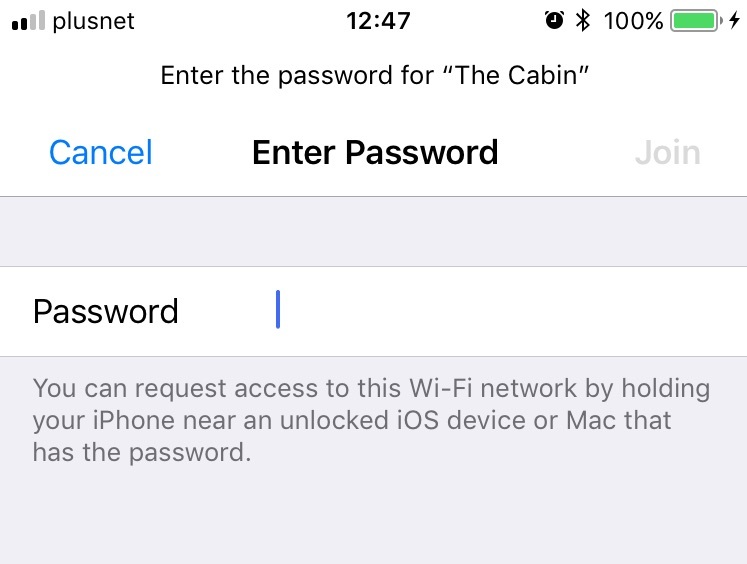 - WiFi password sharing - An iOS device that knows a password to a WiFi network can share it with another device in iOS 11, through new password sharing prompts that popup when two devices are near each other. - Video volume slider - When watching a video and adjusting the volume, the built-in iOS volume slider no longer obstructs the screen. Instead, there's a small slider in the top right corner of the video. 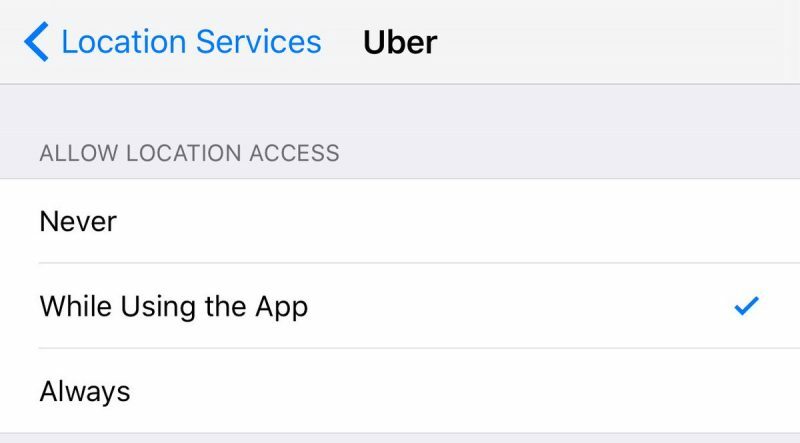 - Location Services - In iOS 11, a "While Using the App" location services privacy setting is available for all apps. Previously, it was a setting that developers needed to implement. This means that there's better granular control over Location Services. In addition to the many outward-facing changes and internal tweaks that have been made to iOS 11, the operating system update also delivers many new tools for developers to make apps better than ever. Apple developed a new ARKit API for developers s that is designed to allow them to create high-quality augmented reality apps by taking advantage of all of the sensors and cameras built into the iPhone. With ARKit, an iOS device is able to identify a surface like a table, and then virtual objects can be added to it. Because of the computing power of the iPhone and the iPad, ARKit's augmented reality capabilities are impressive. For a game like Pokémon Go, for example, ARKit results in smoother, much improved graphics. Apple foresees ARKit being used to create a huge range of apps and games, blending digital objects with the real world. 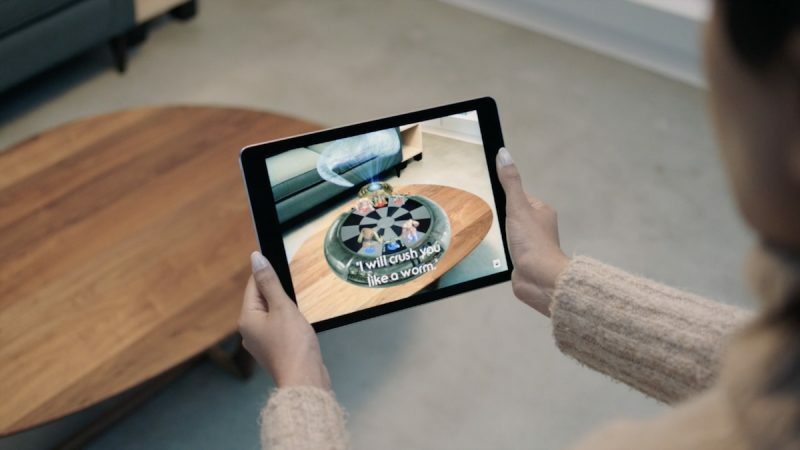 According to developers, Apple's ARKit framework is elegant and simple to use, making development for the iPhone and iPad more straightforward than development for other AR projects like Google Tango and Microsoft Hololens. Many developers have created conceptual videos showing off what AR can do, and we've also gone hands-on with Apple's demo to give readers an idea of what to expect. For more ARKit demos, check out our roundups here and here. The technology that powers Portrait Mode in the iPhone 7 Plus is being expanded to developers, enabling a range of new camera apps and depth of field object placement. Developers have access to the depth information captured by the two cameras in the iPhone 7 Plus and can use it to create fun and artistic photo editing tools. 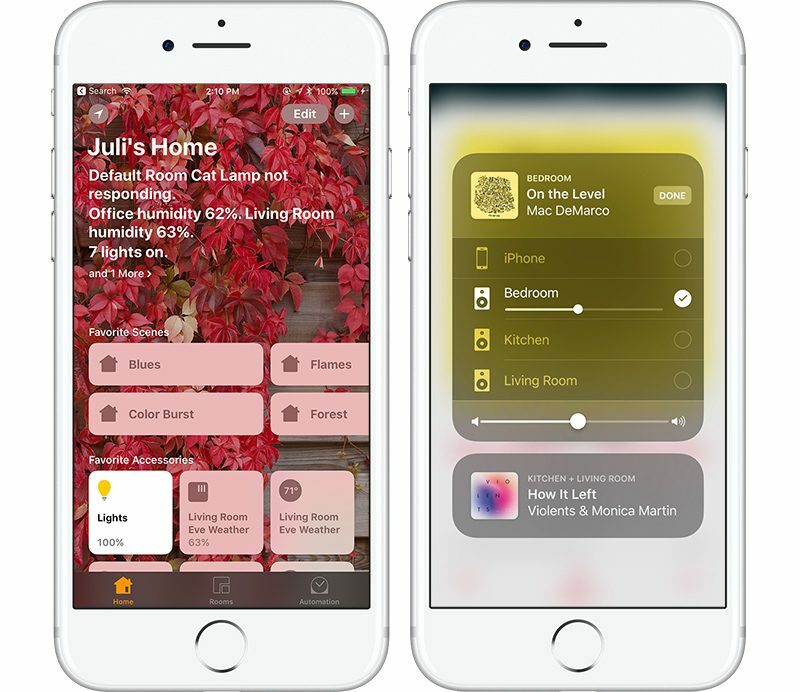 Developers can now experiment with HomeKit without needing to apply for Made for iPhone (MFi) approval from Apple. That means developers can start creating and testing products before bringing them to market and Apple is even permitting experimentation popular custom-fit boards like the Arduino and Raspberry Pi. HomeKit products also no longer need a hardware authentication chip, which means new and existing product manufacturers will be able to add HomeKit support to devices through a firmware update. 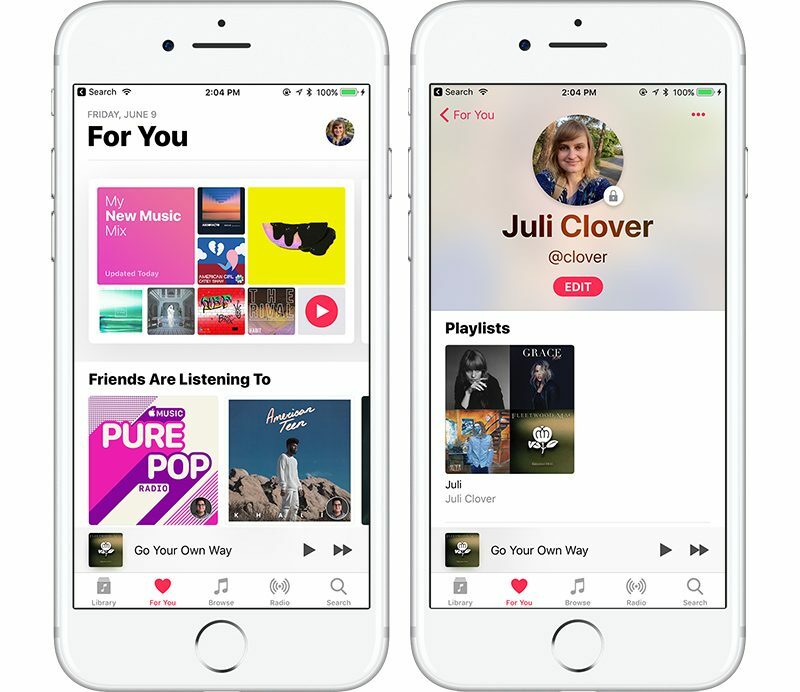 In iOS 11, Apple has made an Apple Music available to developers to give them full access to Apple Music, iCloud Music Library, For You, Recommendations, Featured Music, and Charts, all of which can be built into apps. Core ML is a machine learning framework that's designed to let developers build apps with intelligent features using a few lines of code. Core ML includes deep neural networks, a vision API for things like face tracking, face detection, text detection, object tracking, and more and a Natural Language API for language identification and other related features. 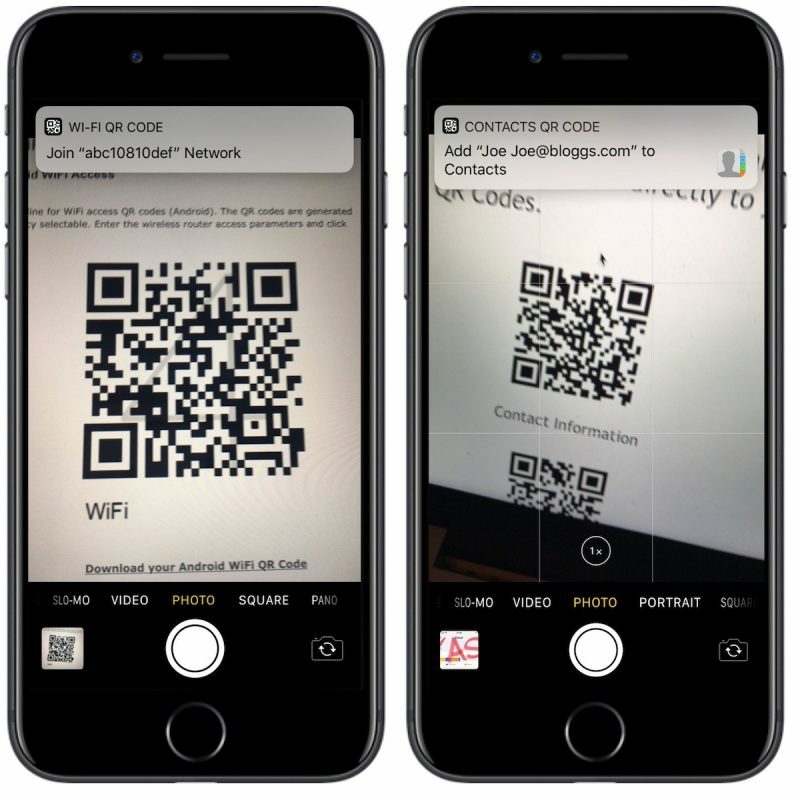 Developers have access to a new "Core NFC" framework that allows apps to read Near Field Communication (NFC) tags. According to Apple, this lets developers create apps that can read tags to "give users more information about their physical environment and the real-world objects in it." Core NFC within apps works similarly to Apple Pay. When holding an iPhone near an item with an NFC tag, iPhone users will see a "Ready to Scan" dialog box, and then a checkmark will be displayed on the screen once a product is detected. NFC tags can be used in a number of ways, such as providing information on an item that's being scanned. In a museum, for example, an iPhone user might scan a tag to learn more about an exhibit. iOS 11 will run on all devices that have an A7 chip or better, including the iPhone 5s and later, the iPad mini 2 and later, the iPad Air and later, all iPad Pro models, and the sixth-generation iPod touch. iOS 11 was released to the public on Tuesday, September 19 following a beta testing period that spanned from June to September. iOS 11 is followed by iOS 12, set to be released in September 2018.